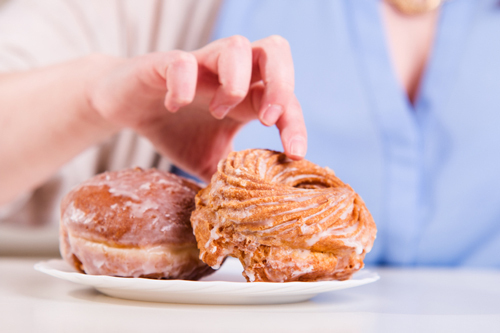 The excess sugar found in everyday Western diets contributes to many of the health problems that plague America today. One likely wouldn’t have a problem from a little bit of sugar in fruit. It’s all the added refined sugar found in processed foods, like soda and baked goods, that’s the issue. The average American consumes between 150 and 170 pounds of refined sugar every year, according to the United States Department of Agriculture (USDA). Excess sugar consumption can lead to weight problems, diabetes, insulin resistance, non-alcoholic fatty liver disease, sugar addiction, heart disease, depression, poor immune function, tooth decay, arthritis, allergies, migraines, behavioral problems, recurring yeast infections and candida. Eating too much unhealthy sugar can also lead to cancer. In a new study published in the journal Cancer Research, researchers from the University of Texas MD Anderson Cancer Center found that the high sugar content in the average Western diet may increase breast cancer risk. It may also spread from the breast to the lungs. It is the first study to examine the development of breast cancer from sugar consumption in an animal study. The research team found that sugar increased the enzymatic-signaling pathway called 12-lipoxygenase (12-LOX). The researchers found that fructose made from sucrose would lead to cancer, spreading to the lungs and 12-HETE production in breast tumors. Previous studies have also found that sugar consumption can lead to breast cancer, and inflammation was thought to play a factor. For the current study, the researchers wanted to confirm this, and the association between sugar consumption and cancer. They tested sugar consumption on mammary gland tumor developments in four mouse studies to help determine the mechanisms involved. The researchers found that high-fructose corn syrup and fructose from table sugar are responsible for 12-HETE production in breast cancer and cancer spreading to the lungs. In the four studies, the mice were fed one of four diets. On a starch-control diet, 30% of the mice at six months of age had measurable tumors. On the other hand, 50% to 58% of mice on a sucrose-laden diet had breast tumors in the mammary glands. Cancer would also spread to the lungs at a higher rate in mice fed a sucrose or fructose diet than the mice on a starch-controlled diet. The researchers suggested that dietary fructose or sucrose induced 12-HETE and 12-LOX production on in vivo studies of breast tumor cells. It helps explain the signaling pathway that leads to sugar-related cancer development in mice (the investigators noted that the exact mechanism of how the fructose and sucrose provokes 12-HETE is yet to be determined). They wanted to determine whether the sugar consumption has an indirect or direct effect on breast cancer. Further research is needed to investigate the fructose or sucrose effect on breast cancer and the spread to the lungs through the 12-LOX pathways. In another recent sugar-animal study published in the British Journal of Nutrition, University of Nottingham researchers found that when mothers consume a high fructose and salt diet, it could have a long-term effect on their children’s cardiovascular functions, especially in female offspring. Jiang, Y., et al., “A Sucrose-Enriched Diet Promotes Tumorigenesis in Mammary Gland in part Through the 12-Lipoxygenase Pathway, Cancer Research, 2016; 76:24-29, doi: 10.1158/0008-5472.CAN-14-3432. “Sugars in Western diets increase risk for breast cancer tumors and metastasis,” ScienceDaily web site, January 4, 2016; http://www.sciencedaily.com/releases/2016/01/160104080034.htm. Chu, W., “Sugar-lade Western diet promotes breast cancer tumors,” Food Navigator.com, January 4, 2015; http://www.foodnavigator.com/Science/Sugar-laden-Western-diet-promotes-breast-cancer-tumours. Gunnars, K., “10 Disturbing Reasons Why Sugar is Bad For You,” Authority Nutrition web site, July 2015; http://authoritynutrition.com/10-disturbing-reasons-why-sugar-is-bad/.